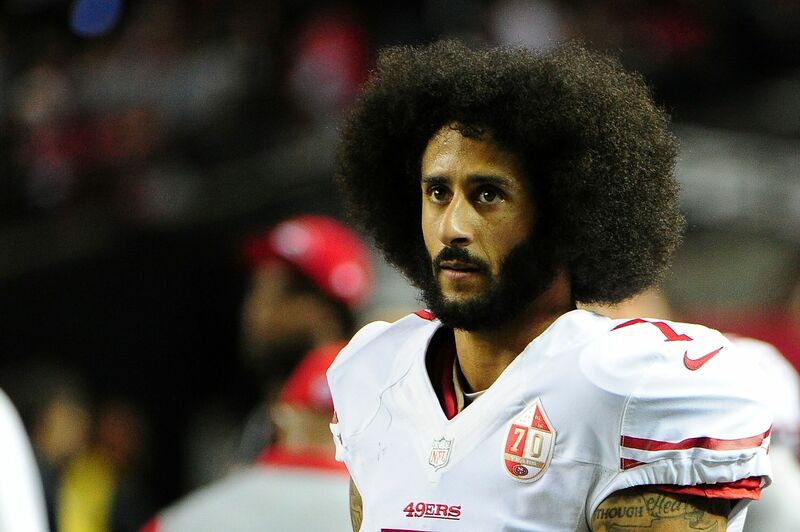 Colin Kaepernick has been sitting in free agency for a while but news broke that he would love to play for the Baltimore Ravens. The 2017 NFL season hasn’t started yet, but the Baltimore Ravens have been bitten by the injury bug. Cornerback Tavon Young and running back Kenneth Dixon are out for the year but that’s not the worst of their troubles. Starting quarterback Joe Flacco has been dealing with a back injury that will have him sidelined for a few weeks. After signing some guy nobody ever heard of, the Ravens are apparently still discussing the possibility of adding Colin Kaepernick. For Kaepernick, Baltimore would be a desired landing spot. It remains to be seen how Flacco would respond to the team adding Kaepernick. Otherwise, on paper, it seems like a logical fit. Kaepernick’s former offensive coordinator with the 49ers, Greg Roman, coaches with the Ravens. Kaepernick had his best days with Roman under the Jim Harbaugh regime. If the Ravens were to sign him he would play for the other Harbaugh brother, John. Ryan Mallet is the incumbent backup quarterback but isn’t much of a difference maker. Mallet, 29, has thrown seven career touchdowns compared to 10 interceptions during his five-year career. Kaepernick could potentially be an upgrade as a backup. The former Nevada signal caller threw 16 touchdowns and 4 interceptions under Chip Kelly in San Francisco. In the Ravens offense, Kaepernick could be a good fit with his ability to run and get the ball deep to guys like Jeremy Maclin and Mike Wallace. Nevertheless, the severity of Flacco’s injury will be the determining factor on whether the Ravens pull the trigger on signing Kaepernick.